This week was underscored by a very prestigious event in my schedule: Yours Truly hosted an American senator at my school, Shalva! 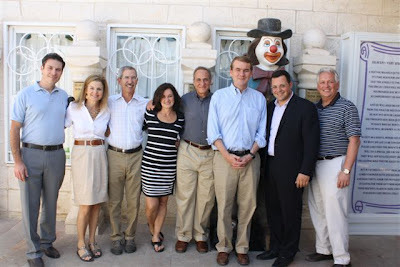 In my new role as tour guide and host to governmental officials, I met U.S. Sen. Michael Bennet of Colorado on Sunday. 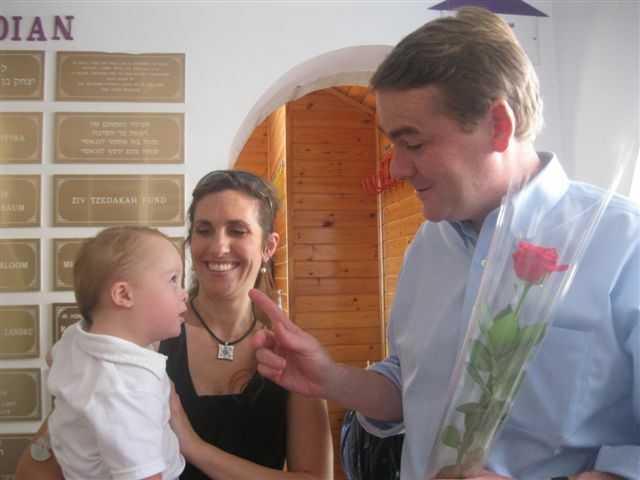 Sen. Bennet and I exchanged pleasantries in the lobby before I gave him a tour of the facility. He graciously accepted the rose that I gave him. This tour was on the last day of Shalva's summer break. The senator was joined by other influential Americans. Thanks for visiting! My part of the tour was concentrated in the lobby area. Much to mommy's horror, I displayed a sudden surge of energy and rambunctiousness in addition to a newfound sound of mine - something akin to hissing. I thought I was being cute and coy with my guttural sound, while mommy was hoping for an apchee (achoo) or something more relevant to display my genius. 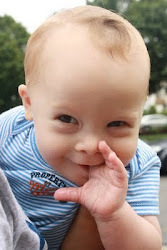 The Law of Babies indicates that such expectations are in vain. We do not perform on cue. In fact, we anti-perform when called upon to behave or show off. I did, however, manage to wordlessly point out to the senator and his entourage just how the staff at Shalva operates: With overflowing love for me and my classmates. In the short amount of time we spent in the lobby, nearly every therapist I have ever had in my two years of school passed by me and smothered me with kisses and hugs. That wasn't even planned! But it went a long way to proving mommy's main point about Shalva: Professional therapy and care PLUS love are a winning combo. Without love you are nothing, according to God. So that means that at Shalva, my treatment is over the top!